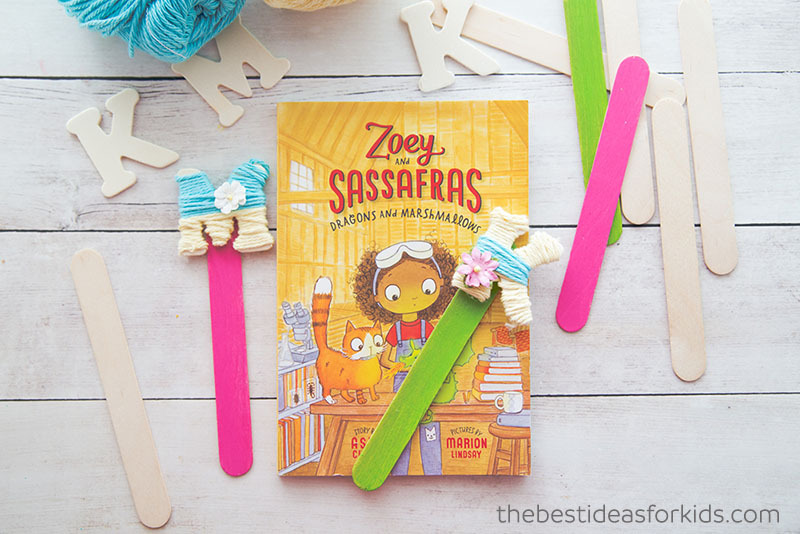 With back to school just around the corner today we are sharing these adorable yarn wrapped letter bookmarks. 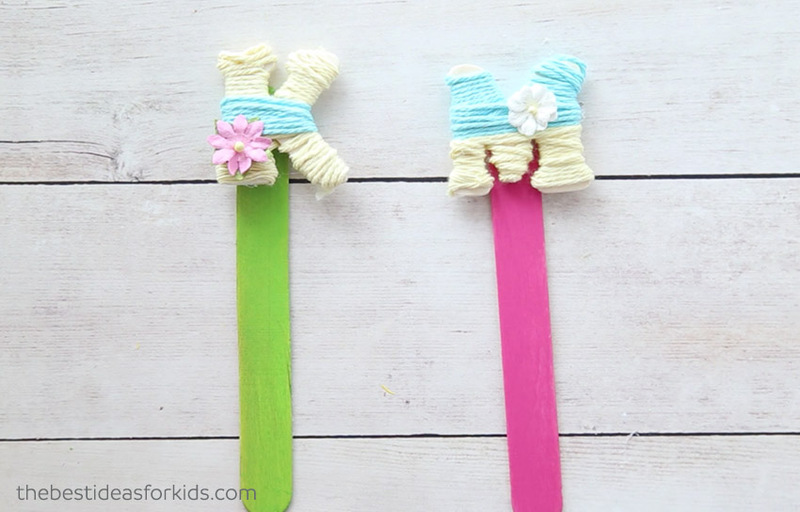 This craft is so quick and simple to do and kids will love having their own personalized letter bookmark for school! And for more back to school ideas, see our Back to School Checklist and Back to School Chalkboard signs. 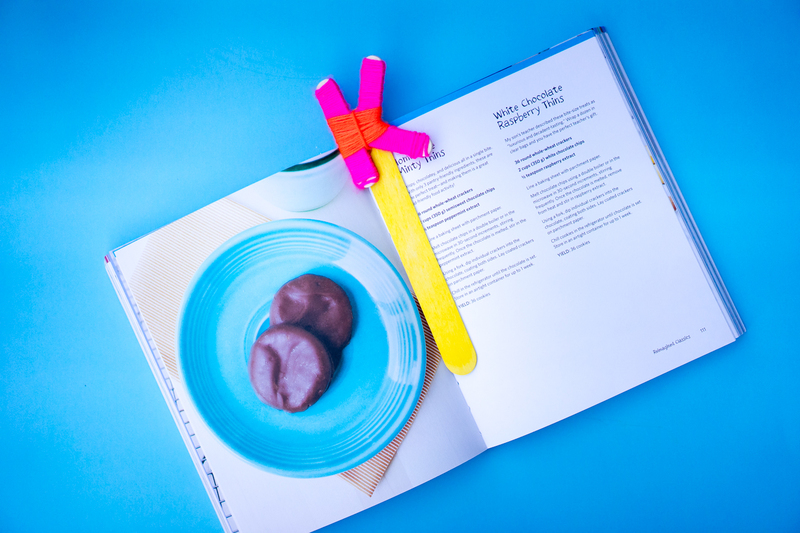 We love how these DIY bookmarks can be completely customized to any style! 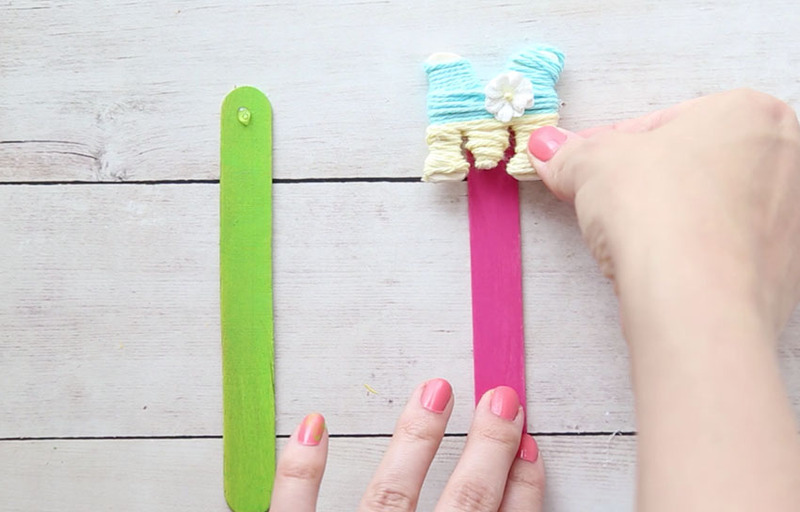 Paint the sticks your favorite color and choose yarn to match! 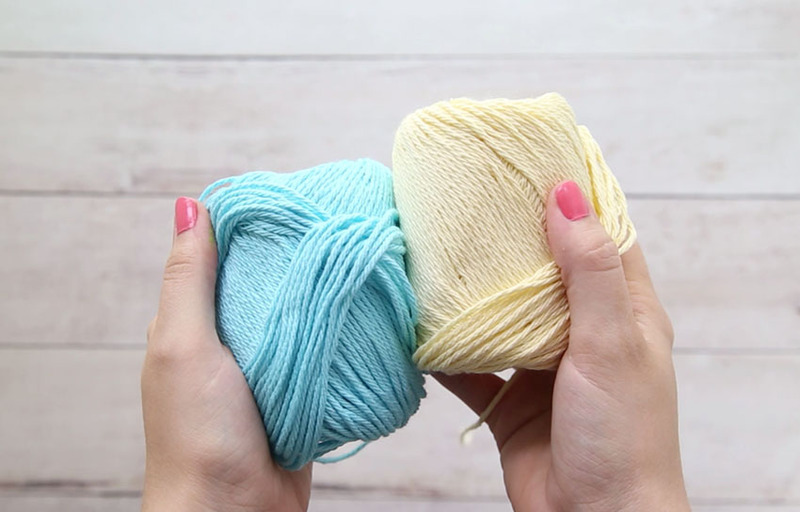 Yarn – choose any color/size or shape. We like these packs since they come in different colors and are small. 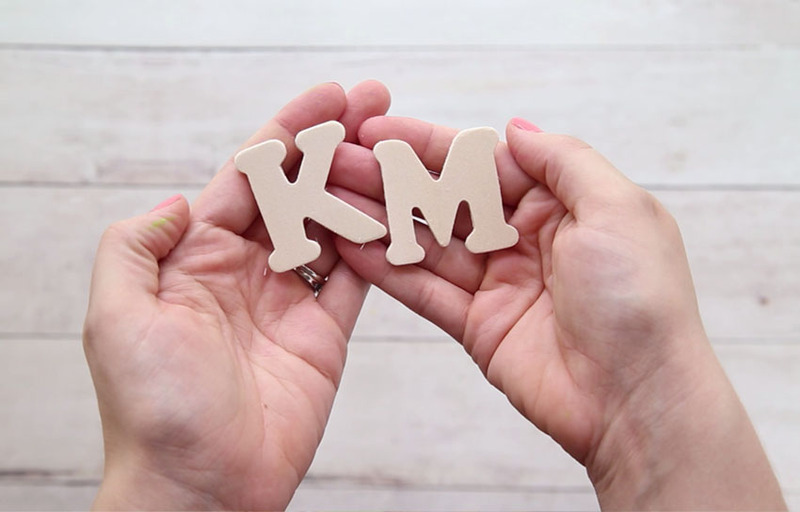 Small Wooden Letters – we got ours from the Dollar store, so check there. But if you’d like to buy from Amazon, these ones look to be the best quality we could find. 1. Be sure to watch our full video tutorial above before you get started! 2. Select your yarn. Use complementary colors like blue and yellow, orange and pink or you can choose just one color to wrap the whole letter with. 3. Start on one area of the letter to wrap. Glue the yarn down to the edge to start and let it dry. Before you start make a plan on how you’ll wrap the letter. For example, for the K, do the parts of the letter that stick out first and then do the middle with a different color. For other letters like an M you can do one color on top and do a different color on the bottom. Some letters may require a double wrap to cover all the areas. Meaning you wrap the entire letter horizontally and then you wrap again vertically. You can patch any empty spaces if needed (or leave them open which we like too!) to fill in gaps with smaller pieces of yarn. Think of each part of the letter in sections and wrap in sections. Go slowly and glue as you go to ensure the yarn sticks to the letter. If your letter needs a second wrap, then wrap in the opposite direction. Then secure each strand with glue to the backside of the letter. Work in small sections and patch open areas if needed (you can just cut off small pieces of yarn to fill any gaps). Go slowly and make sure the yarn is gluing to the letter or it may unravel. Use only the smallest amount of glue as possible. 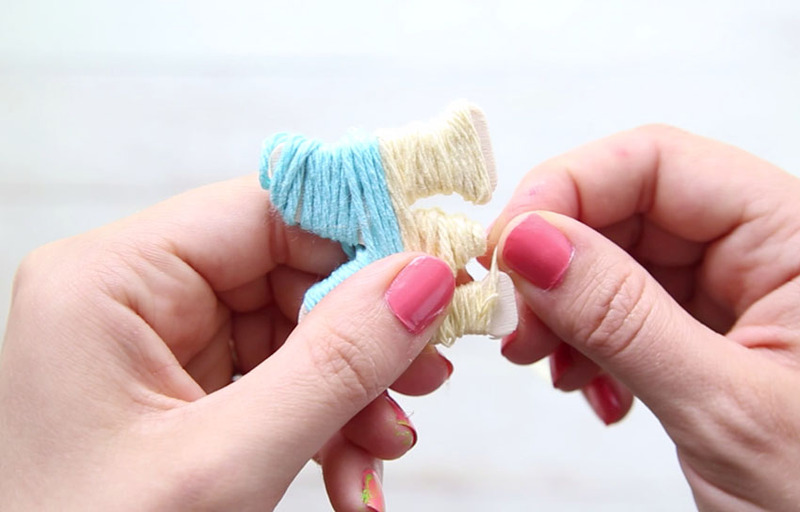 The glue will dry clear but if you use too much it may make the yarn sticky and hard. Once you get to the end of a section, you can use a small amount of hot glue to secure the end of the yarn down (adults only). Always secure to the back of the letter so that it’s hidden. Place as close as possible to the edge of the letter. Be careful not to put too much or the glue will be noticeable. Alternatively you can tie the the end back around another loop of the yarn. Double tie it if you can so it doesn’t come loose. If you do tie, just note that it may be more likely to unravel. Let the wrapping be a fun craft for kids too! Let your younger kids try the yarn wrapping too. It doesn’t have to be perfect and even the imperfect wrapping will look great! 4. 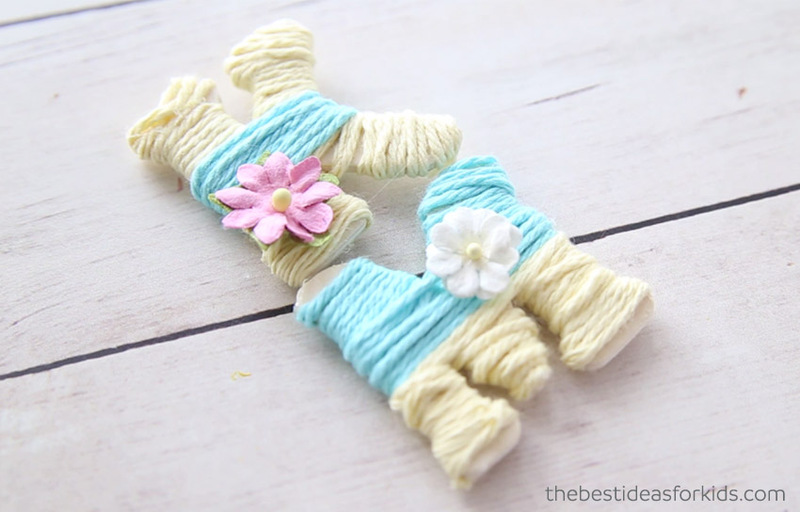 Glue on a small embellishment – use whatever you like to customize your yarn wrapped letter! 5. 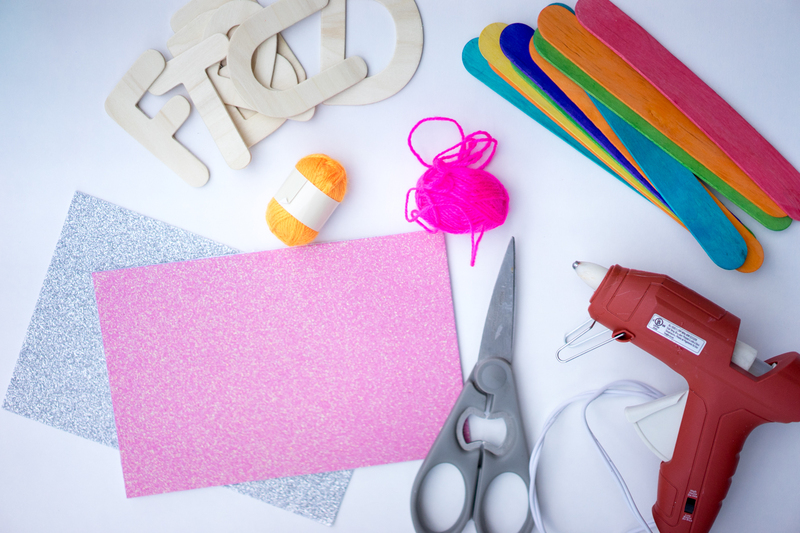 Now hot glue (adults only) your letter onto your jumbo craft stick. 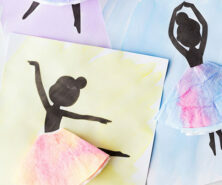 You can buy colored craft sticks or you can paint plain ones with acrylic paint. Now you have your final yarn wrapped letter bookmarks! These may be one of our favorite projects. We love that you can customize them too. 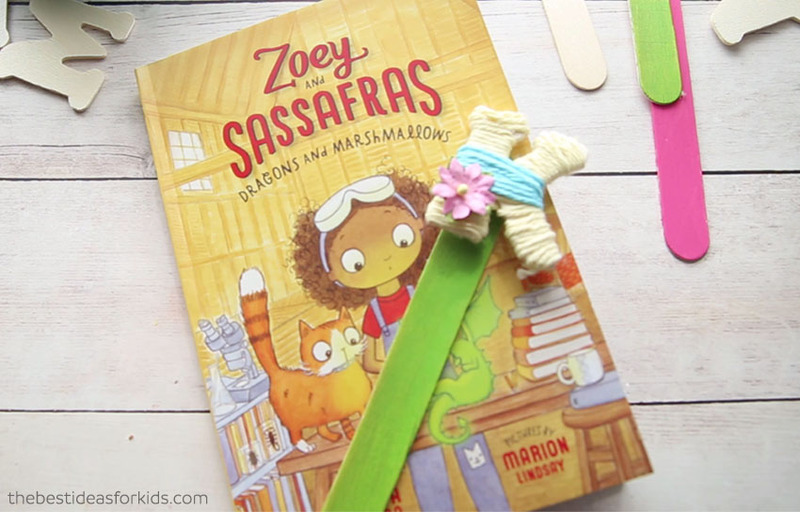 If you’re not sure about the yarn wrapping, skip down below for some other letter bookmark ideas! 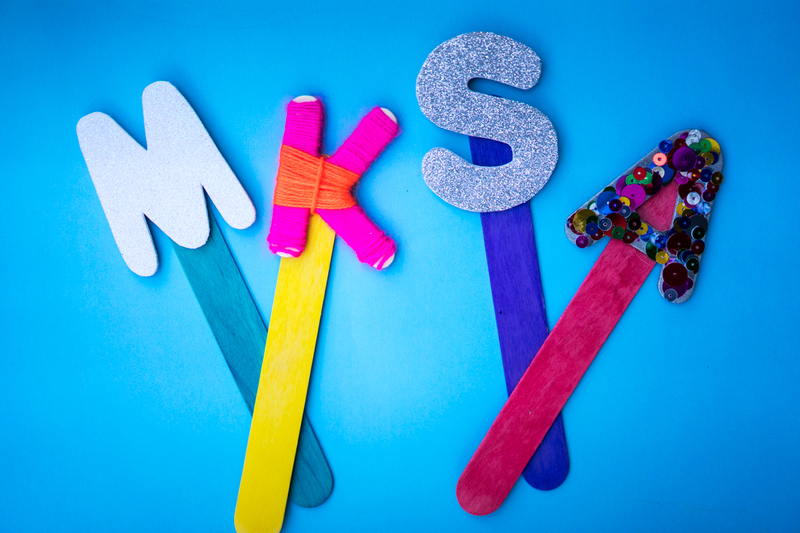 To make the craft foam bookmarks, simple take your wooden letter and trace on the back of the glitter craft foam. Then glue your craft foam to your wooden letter. To make the glitter letter bookmark, fill the wooden letter with glue and then sprinkle your glitter on top. Allow it to dry. Then hot glue (adults only) your wooden letter to your craft stick. Which letter bookmark is your favorite? Love this craft idea? 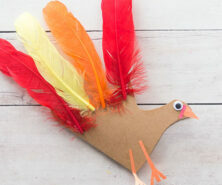 Be sure to check out our other Kids Crafts & Activities in the menu bar at the top of the page. 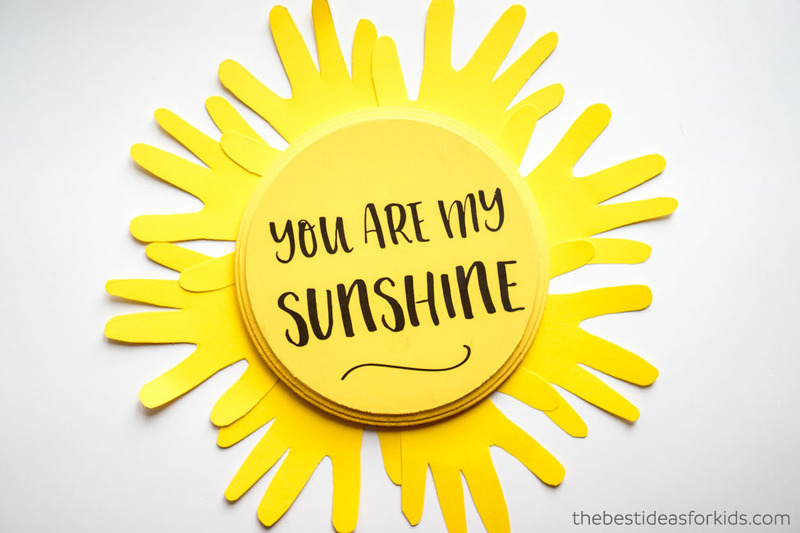 For a lovely keepsake on your wall or in a kid’s room, make this You are My Sunshine Wall Art. 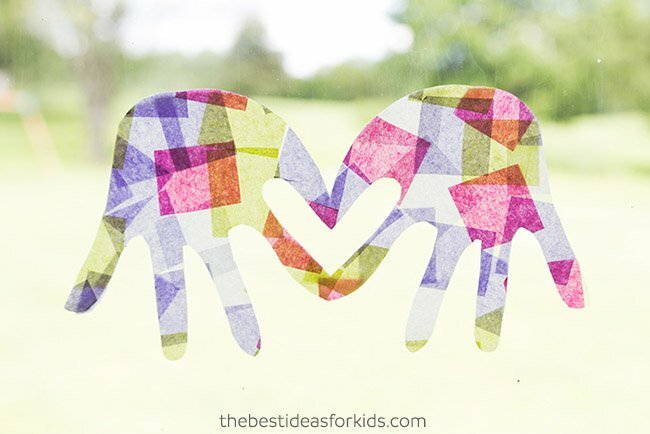 For an adorable keepsake on your windows, make these handprint suncatchers. These would make a really nice gift idea too!